Just Cross Stitch is the premiere magazine for those who look at the handwork from centuries past with a sense of awe, wonder, and inquisitiveness. Each issue is a wealth of information that will delight, educate, and instruct: articles that shed light on the world in which the hand-wrought wonders of the past were produced; needlework projects that challenge and build the skills of the contemporary needleworker; lavish photographs of antique needlework and sewing tools. Join Just Cross Stitch magazine as every issue journeys into the past in search of treasures made with needle and thread that range from simple to sublime. Get 7 issues for $16.68 ($2.38 per issue) from MagazineDealsNow.com with coupon code "MPS12". *BEST VALUE* Get 14 issues for $26 ($1.86 per issue) from BestDealMagazines.com with coupon code "MPSSAVE16". SubscriptionAddiction.com This store does not appear to sell Just Cross Stitch Magazine. Click on the desired price/store/issues in the grid for details on subscribing to Just Cross Stitch Magazine. Just Cross Stitch is a cross stitch magazine filled with dozens of projects in all shapes and sizes. Published 7 times a year, the publication is filled with step-by-step instructions and beautiful photos. Just Cross Stitch magazine is America's premier cross-stitch magazine. Each issue serves up fun cross-stitch projects in all shapes, sizes and skill levels. Step-by-step instructions are included in every issue! Just CrossStitch Magazine is the first magazine devoted exclusively to counted cross stitch and the only cross-stitch title written for the intermediate to advanced-level hobbyist. Recognized as the industry's leading publication, it launched in 1983. Each issue features array of designs sure to bring beauty and elegance to any decor; each design is presented with lavish photographs, clear, easy-to-read charts, and complete, detailed instructions. Join us as we create timeless heirlooms that will be treasured for years to come. 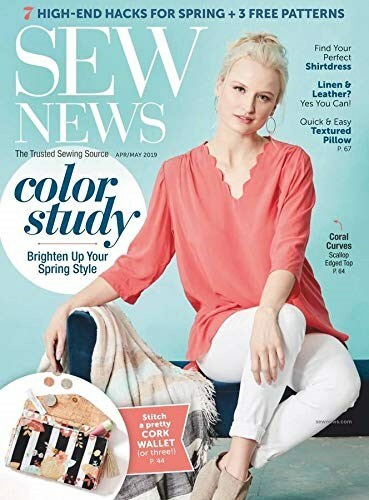 Just CrossStitch is the first magazine devoted exclusively to counted cross-stitch and the only cross-stitch title written for the intermediate to advanced-level hobbyist. Find the best price for Just Cross Stitch at MagazinePriceSearch.com!